Play the latest 3D slots online here at Wizard with this superb Jackpot Slots game. Eyecon are known within the online slot community as a company that creates gams that are based on a theme, a theme that is heavily influential on pre-existing genres and narratives that have some form of cult following. 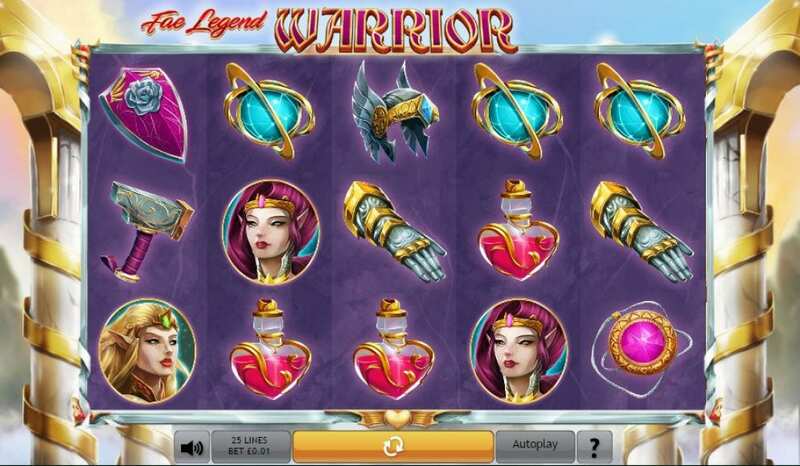 Fae Legend Warrior continues this trend with a game that is heavily embedded with a free flowing game narrative in an online slot that is guaranteed to make you put on a suit of armour in-front of your computer screen or phone. Don't worry if you think you look ridiculous, the only person you need to be impressing is Fae, she's a legendary warrior who is also a fairy by the look of it. So if anything she will be impressed by your unique ensemble! Remember that when you don your suit of armour and enjoy some of the finest reels this side of the kingdom. The jackpot element at play is even more incentive for players to run as many reels as they like. 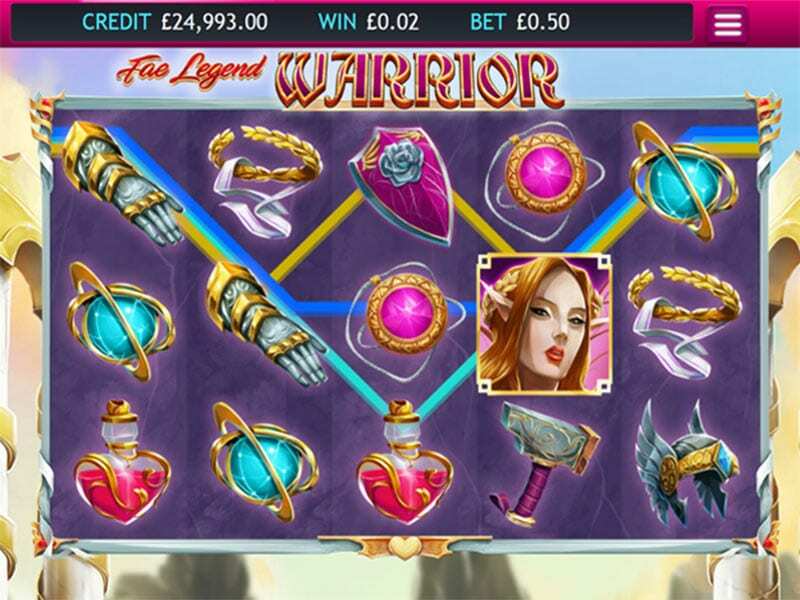 This carnation of the Fae Legend Warrior slot has no fixed jackpot meaning it only disappears when the player wins it all. Deposit £10 on slots games made by Eyecon and start winning. Symbols in the game take the shape of pieces of armour as well as your classic letters which serve as the games lower scoring symbols. Wilds and bonus rounds can be unlocked through playing the game and matching the symbols that feature the faces of Fae and other woodland creatures. Wilds serve the same purpose as they do in most other online slots, substituting symbols for the wild and scatters which open the player up to some rather handsome rewards. There is also an auto-play feature that allows you to play hands-free if that is your kind of thing. No wonder games like this are well known to be one of the best slots you can play. The game is very pretty to look at, fairies are notoriously known to be pretty and cute so this comes as no surprise, however, the warrior aspect of this game has opened the design and graphics in general to more dungeons and dragons like feel. Keep that in mind despite the pink and turquoise colours telling you otherwise. There are very few games that can pull off this type of colour scheme and general warrior theme like this, one should always be grateful when playing this game for it certainly is one of a kind. This coupled with a rather simple online slot will keep players invested in Fae Legend Warrior for as long as the fairy dust is in effect.